How to Easily Fix "Video Scheduler Internal Error" in Windows 10? Home BSOD Errors How to Easily Fix “Video Scheduler Internal Error” in Windows 10? 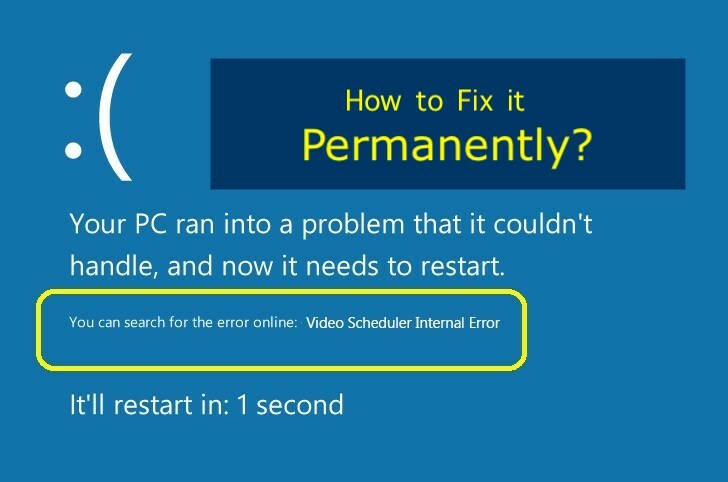 Video Scheduler Internal Error in Windows 10, Windows 8 or Windows 7 – Are you too Facing it?? One of the most irritating errors in Windows Operating Systems are BSODs (Blue Screen of Death). BSODs occur for various reasons and even the new versions of Windows OS, Windows 8 and Windows 10 are not exceptions. Video Scheduler Internal Error is one such blue screen error which is being faced by numerous Windows 10 users. Generally, when VIDEO_SCHEDULER_INTERNAL_ERROR appears on your screen, it freezes your computer and the only way out is to restart it which is definitely frustrating. If you are being bugged by Video Scheduler Internal Error frequently, you need not worry about it! We’ve rounded up the best solutions to fix this error in Windows 10 and Windows 8. 1 What are the Causes of Video Scheduler Internal Error? 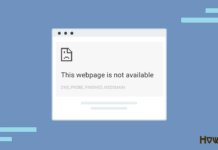 What are the Causes of Video Scheduler Internal Error? We need to understand the causes of the problem to be able to fix it rapidly. Video Scheduler Internal Error occurs very abruptly when you are working on something important or playing a game! Most of the times this error arises when a new software or hardware is installed on your Windows 10 or Windows 8.1 machines. Here are some of the causes of Video Scheduler Internal Error in Windows 10 and Windows 8.1. Outdated or Corrupted Graphics Drivers. Malware or Virus in the System. Corrupted System Files in Operating System. Here we are listing few couple of working solutions in order to easily and quickly fix the error “Video Scheduler Internal Error” yourself. So wanna fix this error yourself and that too quickly?? Well, if you know the reason behind this error for you then you can really choose the solution from the list below and follow it in order to quickly fix this annoying hurdle. So try to find out the cause of this error in your System. Let’s assume that Video Scheduler Internal Error is being caused by malware or virus infections. We recommend you to run a system scan to detect the malware or viruses in your Windows 10 computer. There are many antivirus software you can use or you rely upon the inbuilt Windows anti-virus feature called Windows Defender. 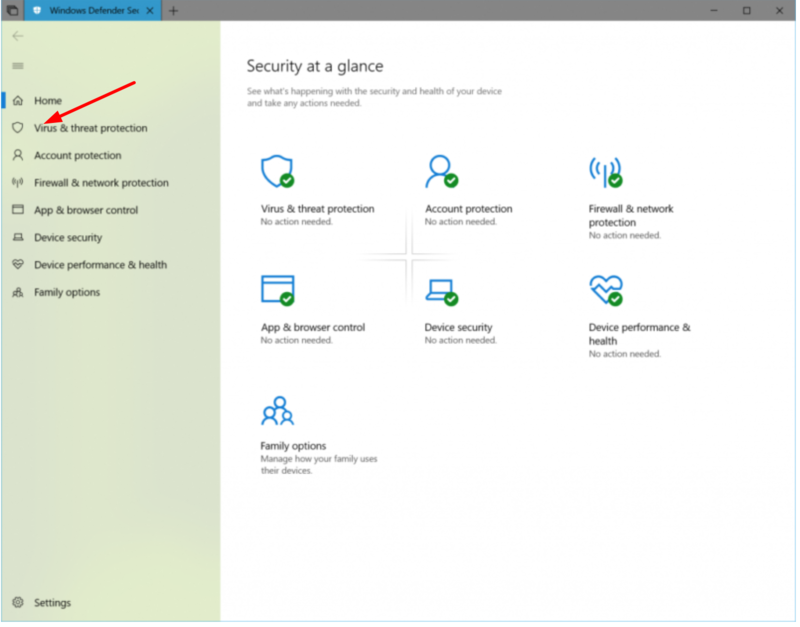 Step – 1: Navigate to Start menu and search for Windows Defender. Click on Windows Defender icon to launch the program. Step – 2: Click on the “Virus & threat protection“option which is on the left panel of the program. Step – 3: At the bottom of the new window, you’ll see an option called Advanced scan. Click on it, select Full scan and click on Scan now button to begin the scanning process. If the Video Scheduler Internal Error persists even after the virus scan, skip to next solution. Damaged system files or hard drive is one of the most probable reasons for BSODs like Video Scheduler Internal Error. Follow the steps below to check for the faulty system files or hard drive. Step – 1: Press the Windows key on your keyboard and enter CMD. 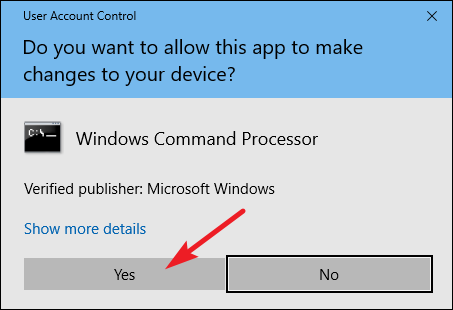 Right-click on the Command Prompt icon and click on Run as administrator. Click on the Yes button to proceed. Step – 2: In the command prompt window, type chkdsk /f /r and press Enter on the keyboard. Step – 3: Press Y on the keyboard to check the hard drive when system when Windows restarts. Step – 4: Restart your PC. 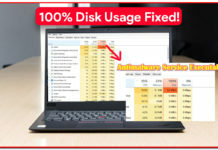 Windows performs a hard drive check when the system is restarted. Step – 5: Press the Windows key on your keyboard and enter CMD. Right-click on the Command Prompt icon and click on Run as administrator. Click on the Yes button to proceed. 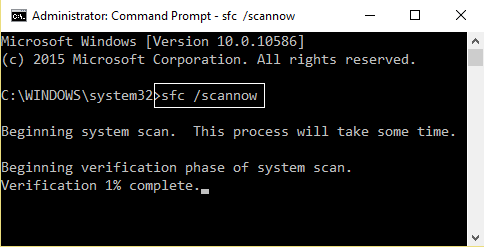 Step – 6: Enter sfc /scannow in Command prompt and press Enter on your keyboard. 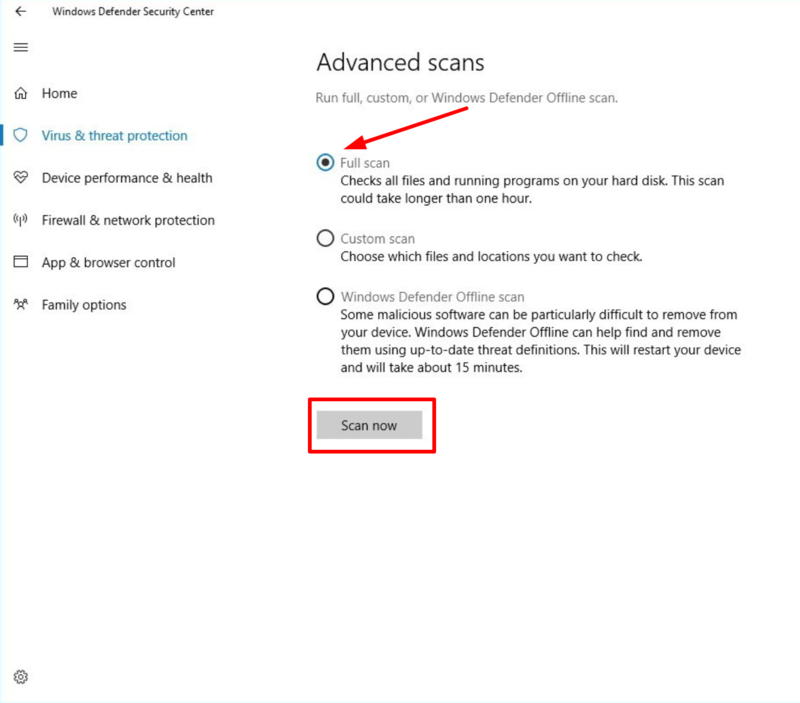 Step – 7: Now, Windows starts scanning your hard drive. Wait till the scanning is completed. If the Video Scheduler Internal Error is still bugging you, try the next solutions. As mentioned above, Video Scheduler Internal Error occurs if there are any corrupt or outdated system drivers. Display Adapters usually get outdated especially when the new hardware is installed. In such cases, you can try Uninstalling and then reinstalling those Adapters or Drivers and easily fix the Video Scheduler Internal Error. Step – 1: Press Windows key and letter R key at once to open the Run dialog. Step – 2: Type devmgmt.msc in the Run box and press Enter. 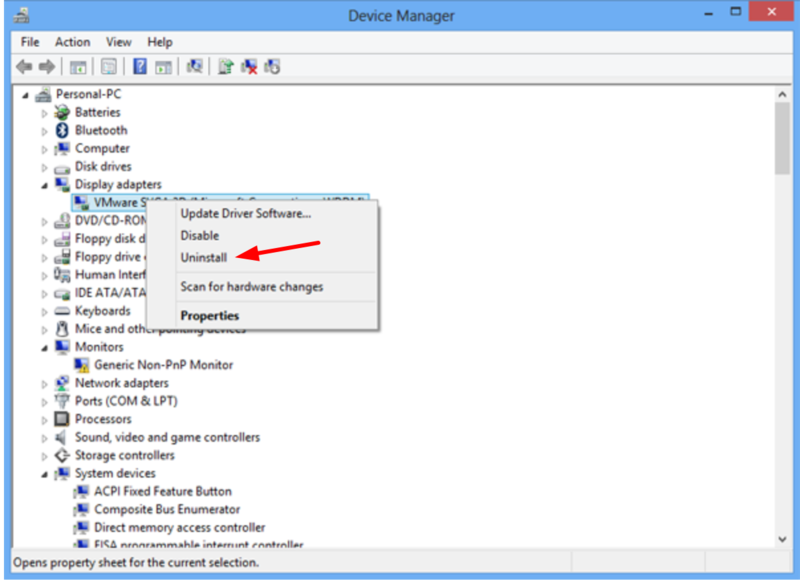 It opens the Device Manager program. Step – 3: Go to the Display Adapters category and expand it. You can expand by clicking on the tiny triangle beside the driver’s name. Right click on the graphics driver and click on Uninstall. If you see any drivers with yellow exclamation signs, uninstall them. Step – 4: Restart your computer. Step – 5: Now go to the manufacturer’s official website to download the new updated graphics drivers. Install the drivers on your Windows 10 PC manually. If the issue still persists, skip to the next solution. TIP – You can also try Utility Tools / Software such as Driver Easy or Driver Talent to Automatically Check for Corrupted or Outdated Drivers and in your System and Reinstall them. RELATED ERROR YOU CAN FIX – How to Fix “Driver Power State Failure” Error in Windows 10, 8 & 7? Step – 1: Go to C drive on My Computer and right click on it and click on Properties. 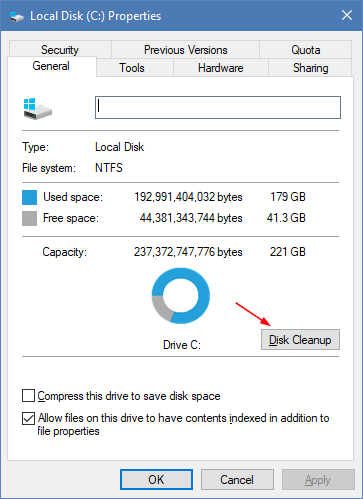 Step – 2: Under the General tab, you’ll see a Disk Cleanup button. Click on it. Step – 3: It takes few minutes for Windows to calculate the free space. Once it is done, click on Clean up system files. Step – 4: Make sure every option is selected especially the Temporary Windows Installation files option and Previous Windows Installation option. Click OK. 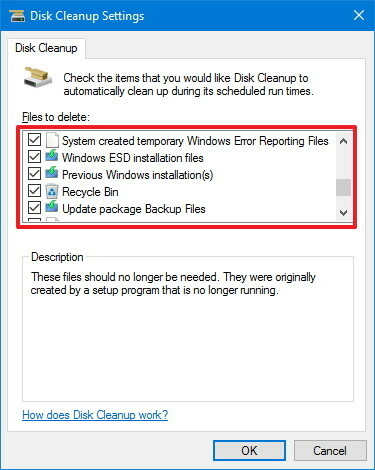 Step – 5: Once the disk cleanup is completed, restart your computer. That’s it. Hope you don’t notice the Video Scheduler Internal Error Screen again. Windows updates fix the patches and outdated system files. Make sure your Windows is up to date. 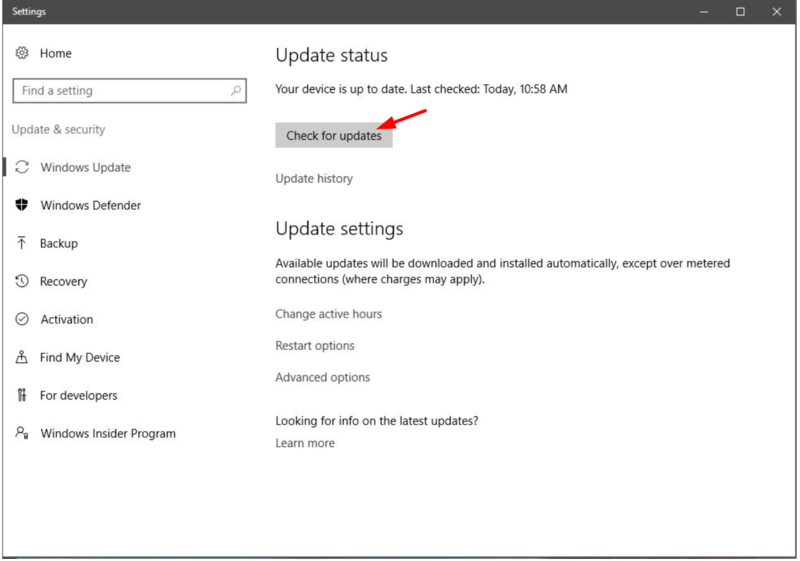 Just follow the steps to check for the new updates and update your windows to the latest released patches and fixes. Step – 1: Press Windows key and letter I key simultaneously to open Windows Settings. Step – 2: Select Update and Security option. Click on Check for updates and install the updates if any. Step – 3: Once the update is done, restart your Windows PC for the changes to come into action. 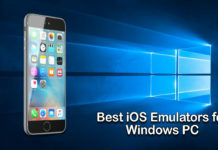 Additional Tip you can try: If none of the above solutions work for you then the final thing which you can try is reinstalling windows. In this process, you will loose your System files (the drive in which windows is installed will be cleaned). So you may try this out if you are frequently facing the Video Scheduler Internal Error in your Computer. ALSO CHECK – How to Permanently Fix “DPC Watchdog Violation” Error in Windows? Most of the BSODs are caused by corrupted drivers. Though they are frustrating, they are quite easy to fix. If you are unable to do the above steps because of the frequent Video Scheduler Internal Error, boot your computer in Safe mode and then follow the above fixes. We hope that above solutions helped you to solve BSOD Video Scheduler Internal Error on your Windows 8.1 or Windows 10 computer.